« A New Hoop and Other Fun Stuff! Your quilt looks gorgeous hanging there – you have such a good spot for it! 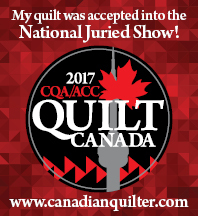 I’m always thinking about my next handquilting project too but I think I have more time to think about it than you – you’re so speedy!! Happy Thanksgiving!! I like this lady’s work…she has a good website. The 3rd picture down is the quilt I was working the quilt block for that I sent pic of last night. I wish I would have done lighter background like hers…but did the same darker as in original pattern. It is called the civil war bride quilt. May you always have sand in your shoes and a shell in your pocket!